Wahl has a long history – since 1919, in fact – of designing and manufacturing well-made, reliable, high-performance grooming and barbering tools. 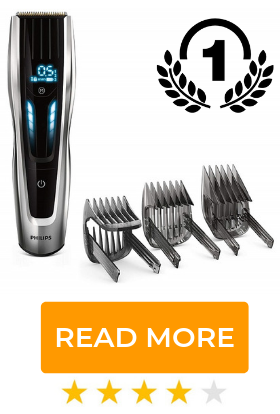 Their trimmers and clippers can be found in salons and barbershops all over the world – and in countless household bathrooms! The Chrome Pro Mains Clipper Set brings the professional quality, ease of use and functionality that Wahl is known for into your home, allowing you to cut any type of hair with ease. Features the Wahl Powerdrive cutting system which utilizes mains voltage to deliver 35% more power, cutting through even the thickest, toughest hair. Adjustable taper level for added convenience and precision makes it possible to cut at different lengths and fade hair without changing combs. Included combs allow hair to be cut from 0.8 to 25mm long. Comfort grip for fatigue-free operation. High carbon steel blades are precisely ground for maximum cutting performance and longevity. Included instructional DVD teaches you how to get professional-quality results at home. The Wahl Chrome Pro clipper set includes a lot of accessories, but none are unnecessary – if you cut hair at home, you’ll appreciate how well thought out the kit actually is. The clipper itself comes with 8 attachment combs for cutting hair to different lengths; a blade guard to protect the teeth when the clipper isn’t in operation; four types styling of combs; scissors for touching up; a neck duster to brush off errant hairs; a cable-tidy; a cleaning brush and blade oil to keep the clipper clean and lubricated; the instructional DVD; and a hard-shell carrying case for travel. 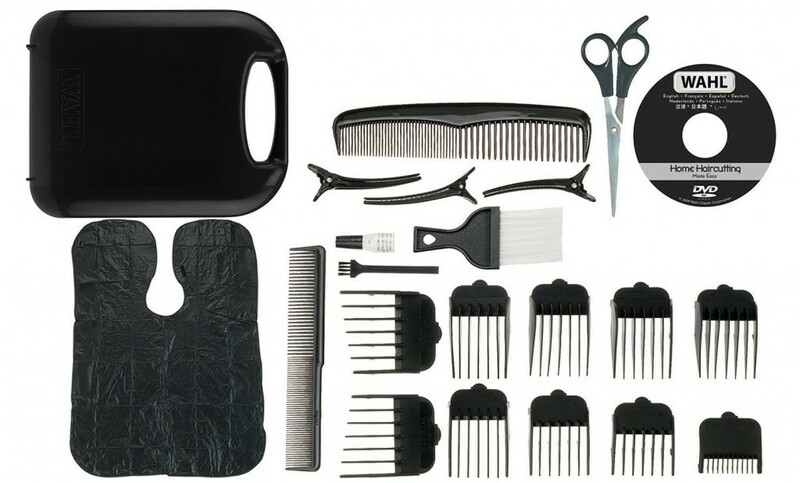 That’s everything necessary for creating any style of short haircut… all in one box. 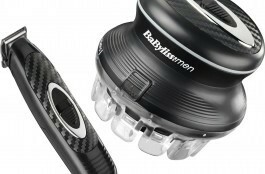 Battery-operated hair clippers are fantastic if portability is your top priority – but for those of us with very thick or coarse hair – please excuse the awful pun – they just won’t cut it. That’s why the Wahl Chrome Pro clipper runs off mains voltage – it can operate at consistently high power levels to mow through even the thickest hair. The blades are made of high-carbon stainless steel. Highly corrosion-resistant, they stay sharp longer than other types and are ground precisely, resulting in fine, sharp teeth which cut evenly. I’ve tried cheaper clippers in the past, and was not happy with my hair being tugged at – but this Wahl clipper cuts clean through without any pulling. If you’re never used a hair clipper with a taper lever, you’re in for a treat. A taper lever moves the non-motorized portion of the blade up or down, increasing or decreasing the distance from the vibrating teeth. This action not only allows hair to be cut to different lengths without changing the comb, but for styles to be “faded” at the bottom and sides for a very clean, modern look. It’s also great for cutting sharp necklines. 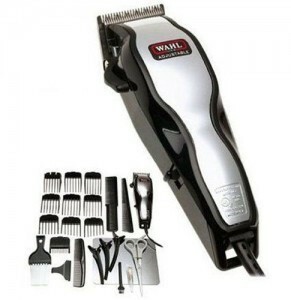 You can spend a lot more on a hair clipper – but for under £30, the Wahl Chrome Pro Mains Clipper Set provides you with everything you need to give yourself or others barbershop-quality results at home. 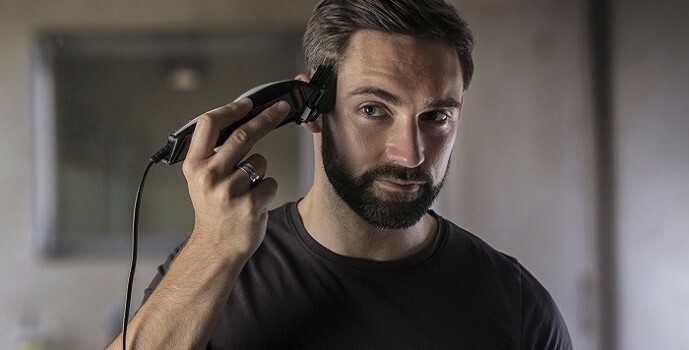 It’s a great looking piece of kit – the black and chrome finish lends it a professional appearance, it feels solid in the hand and it cuts even the most stubborn hair with aplomb. Other than the travel case, which could be a bit better constructed, I have no complaints. The included instructional DVD was a nice touch, too. Nobody’s born knowing how to cut hair, so it was helpful to get some professional guidance before proceeding! 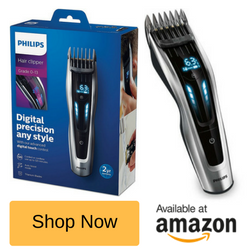 For anyone who wants an economical way to start barbering at home, I’d unreservedly recommend this Wahl hair clipper – try it today; you won’t look back.